I’ve got love on my mind. And rightfully so, since Valentine’s Day is right around the corner. 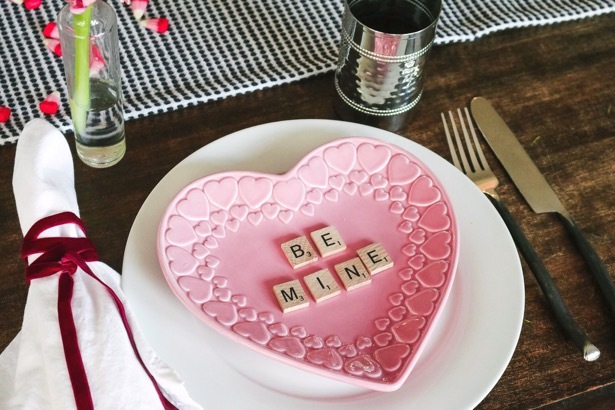 At The Mad Table, we love Valentine’s! Sure it’s a hyper-commercial holiday, but it also provides a wonderful opportunity to show others how much they mean to you. 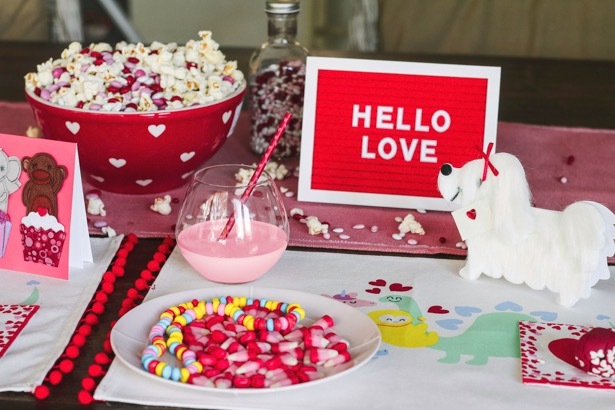 This Valentine’s Day, make sure that love is in the air by creating the right atmosphere! Mix things up with vibrant, bold colors and softer pastels. Vibrant reds are traditional, but a soft, pastel color palette is a delightful alternative for more intimate dinners. Add tiny touches of pink to a table setting that’s dominated with greenery. Keep it simple with bright, cheerful tulips and metal lace pedestals. 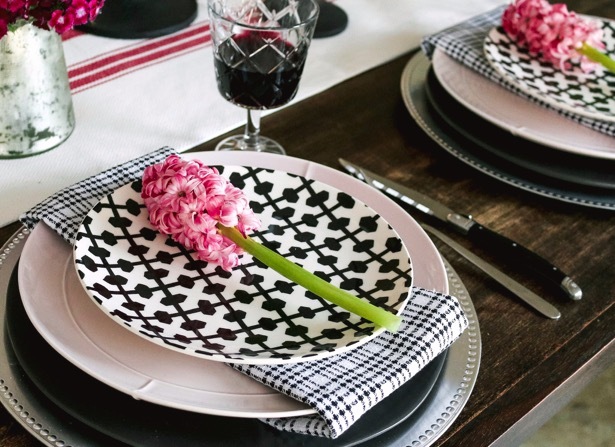 Adorn your table with classic roses in flirty pinks and romantic reds. Avoid matchy-matchy! The contrast between lush green plants and sleek, geometric copper accents is insanely romantic. Make a bold statement with a black and white striped runner. The color contrast is a treat for the eyes! Tie gold utensils with a red velvet ribbon. Not a fan of gold? You can still get a luxurious vibe with silver utensils. Add baby pink and white flowers to a monochrome centerpiece. Then, accent with brass. 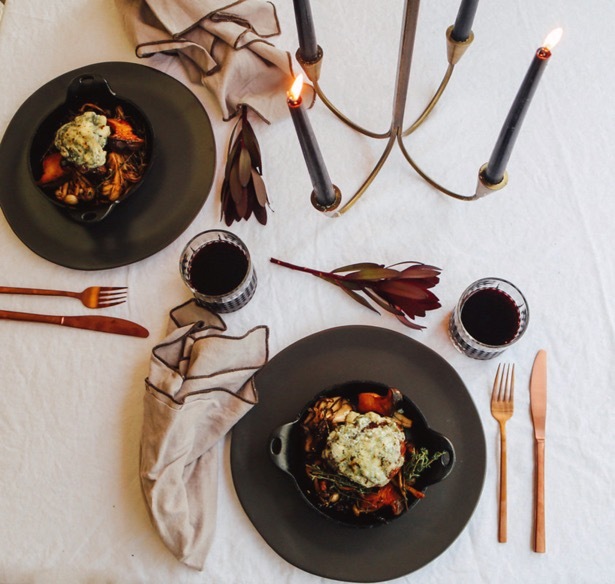 Make the room glow with scattered tealight candles accented by gold candleholders and flatware. Add lush chrysanthemums, seductive dahlias, bountiful peonies and flirty anemones to those romantic roses and create a more eye-catching and captivating centerpiece. Showcase smaller arrangements spread across the table for an understated look that’s often a welcome alternative to large arrangements. Get cozy with soft accents like throw pillows and blankets. Place throw pillows in locations prime for intimate moments and drape blankets over select chairs. If hosting a dinner party, design guests’ hand-lettered name cards for a personal touch. For more tips and tricks for creating the perfect atmosphere in your home, visit us at The Mad Table website. 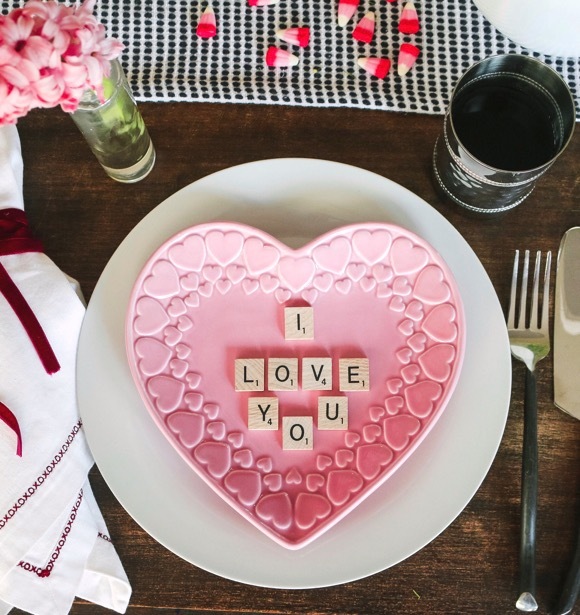 And be sure to like The Mad Table on Facebook and follow us on Instagram for all the latest news, fabulous recipes and gorgeous entertaining tips and ideas.